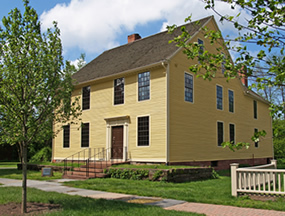 Located in the center of Connecticut’s largest historic district, the Webb-Deane-Stevens Museum provides the quintessential New England experience. 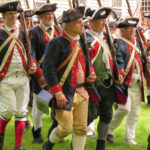 Visitors are immersed in life of the mid-18th and early-19th centuries during informative and entertaining one-hour tours. 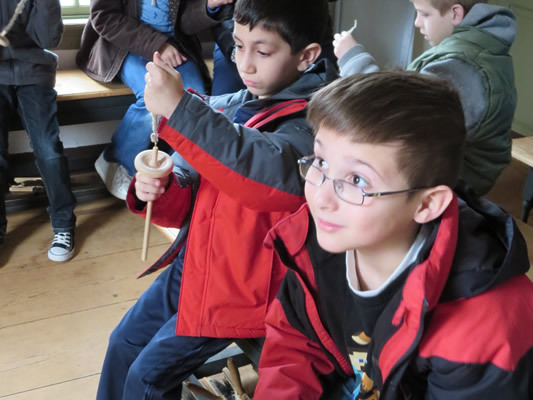 We also host a number of annual events to entertain, educate and enlighten visitors. 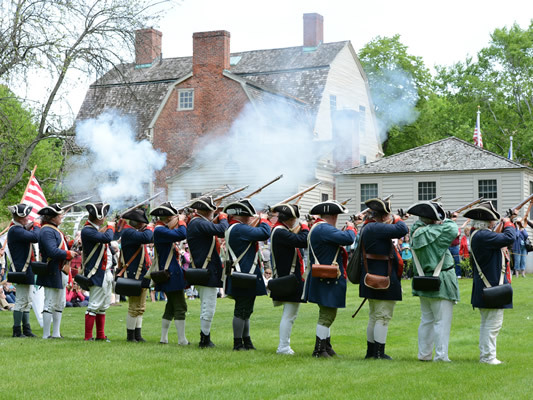 First opened in 1919, the Museum is owned and operated by The National Society of The Colonial Dames of America in The State of Connecticut and is accredited by the American Association of Museums. Huzzah! 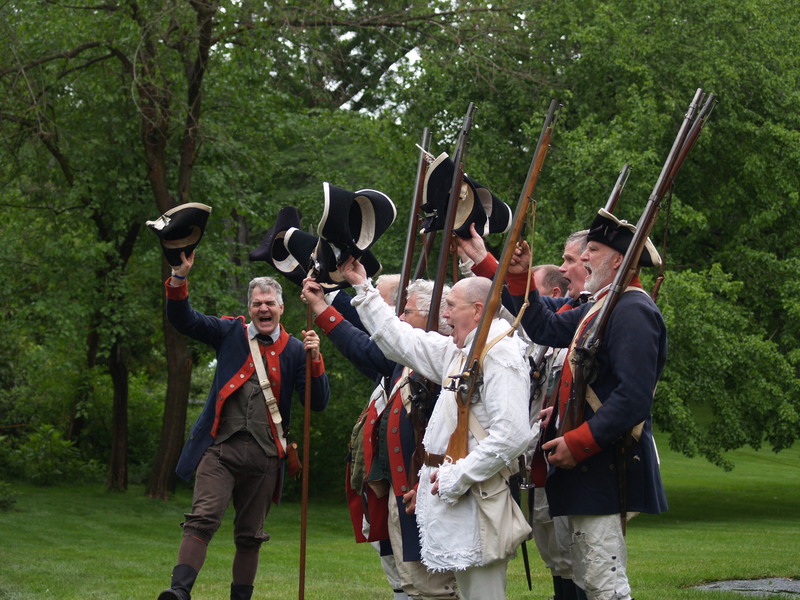 Memorial Day weekend begins with a bang at the Webb-Deane-Stevens Museum Revolutionary War Encampment. 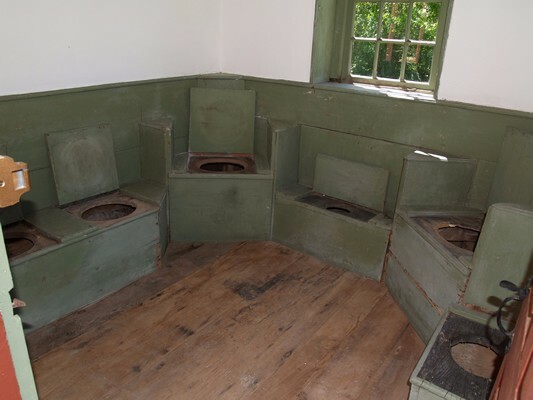 Three rare, historic privies are fully restored and once again sitting pretty on the grounds of WDS. 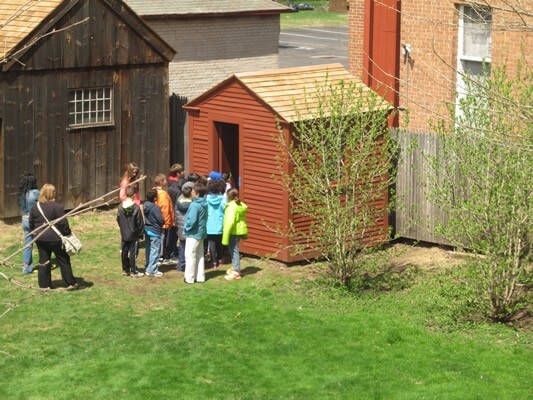 School group visits the restored Stevens privy in May 2015. 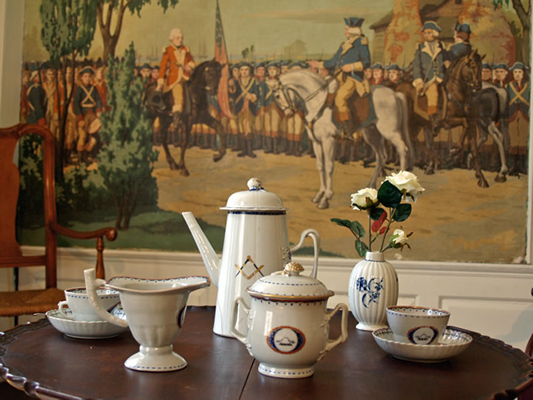 The 1752 Joseph Webb House is where George Washington and French General Rochambeau met in May 1781 to plan the campaign which led several months later to the final battle of the Revolutionary War and the defeat of the British in Yorktown, Virginia. 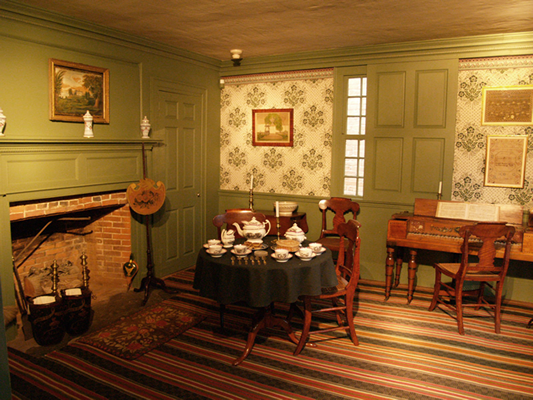 The Webb House was later owned by photographer and antiquarian Wallace Nutting. Read more. 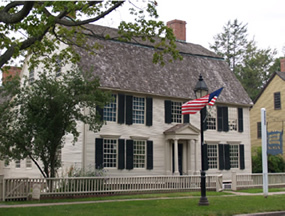 The Silas Deane House, circa 1770, was built for America’s Revolutionary War diplomat to France as both his residence and as a power base for his political aspirations. 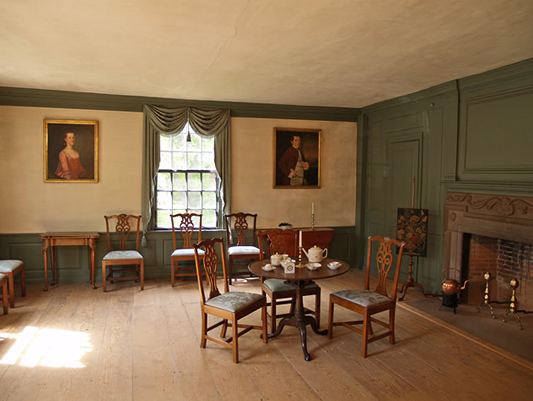 The Deane House features an excellent collection of mid-to-late 18th century furniture made in Connecticut. 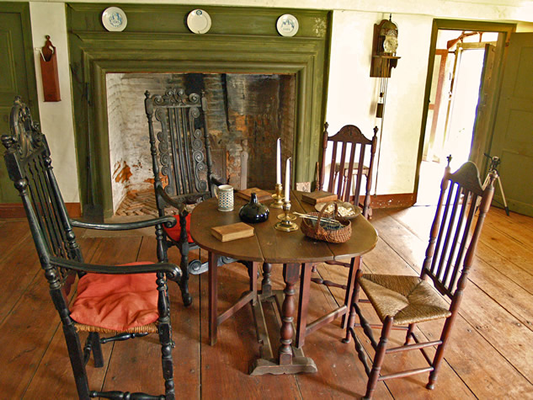 The kitchen and second floor chamber in the rear interpret the life of slaves in this period. Read more. 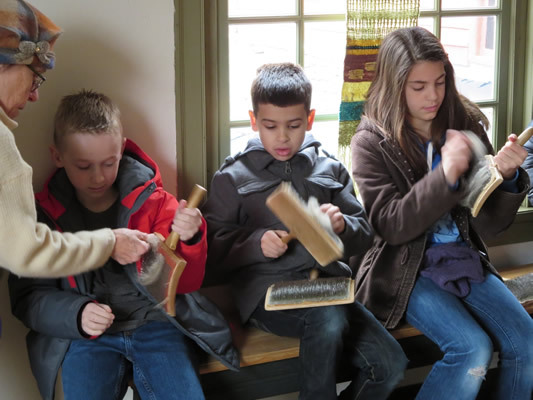 The Isaac Stevens House depicts the life of a middle class family in the 1820s and 30s, with many original family possessions and a fascinating period toy exhibit. 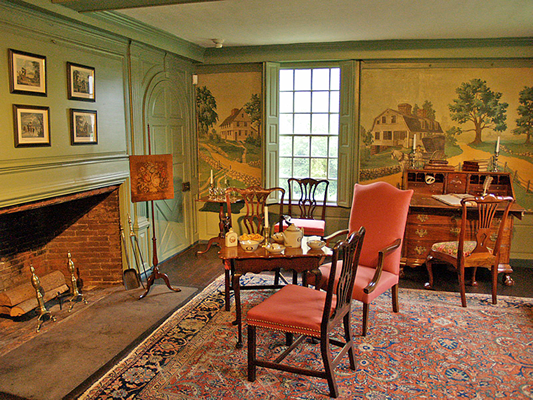 The interiors have recently been reinterpreted with the installation of reproduction block-printed wallpapers, which had become affordable and were very popular in middle class households at the time. Read more. 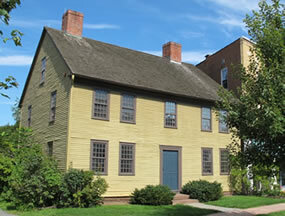 Within easy walking distance is the Buttolph-Williams House. 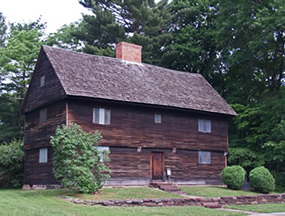 Owned by Connecticut Landmarks and managed by the Museum, it captures the spirit of Puritan life in New England in the 17th century and is the setting for the Newberry Award-Winning novel The Witch of Blackbird Pond (1958) by Elizabeth George Speare. Read more.